NATURAL BREEDING PEARLSThe name of the pearls: big rice.Transport cord: 40 cm.Breeding time: 2.5 yea.. PRODUCT DESCRIPTIONPearls: natural - cultured, freshwaterType of pearls: rice (rice)Transport cord: .. PRODUCT DESCRIPTIONPearls: natural - cultured, freshwaterType of pearls: riceTransport cord: 40 cm.B.. PRODUCT DESCRIPTIONPearls: natural - cultured, freshwaterType of pearls: riceTransport cord: 36 cm.C.. 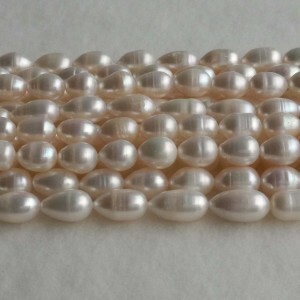 PRODUCT DESCRIPTIONPearls: natural - cultured, freshwaterType of pearls: rice (rise)Transport cord: ..
Natural cultured pearlsThe name of the pearls: large riceTransport cord: 40.5 cm.Color: white with b..